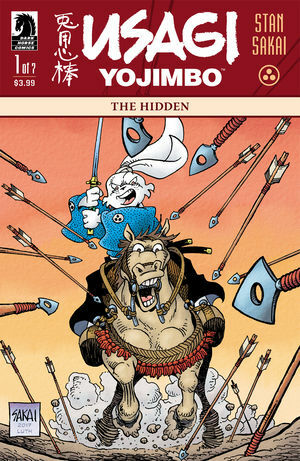 A set of comic book reviews for 21 March (link), headlined by Stan Sakai's new miniseries Usagi Yojimbo: The Hidden, was far and away the most popular blog post on the Angriest this past month. Other popular posts included reviews of episodes of Outlander (link) and Star Trek: Voyager (link). Over at FictionMachine, the most popular reviews were understandably of new releases Avengers: Infinity War (link) and The Guernsey Literary and Potato Peel Pie Society (link). In April 2018 I blogged an obituary, an interview, reviews of 10 films in new release or at festivals, 13 reviews of older films, seven TV episode reviews, and mini-reviews of 55 comic books. A full index of posts for the month are included below the cut.